If the aim is to spoil myself, for sure I find something to buy in any boutique. The important thing is, whether I feel like going there again or not. If you consider the abundance of the brands and the diversity of the products, you can understand the importance of a positive boutique experience for a brand. 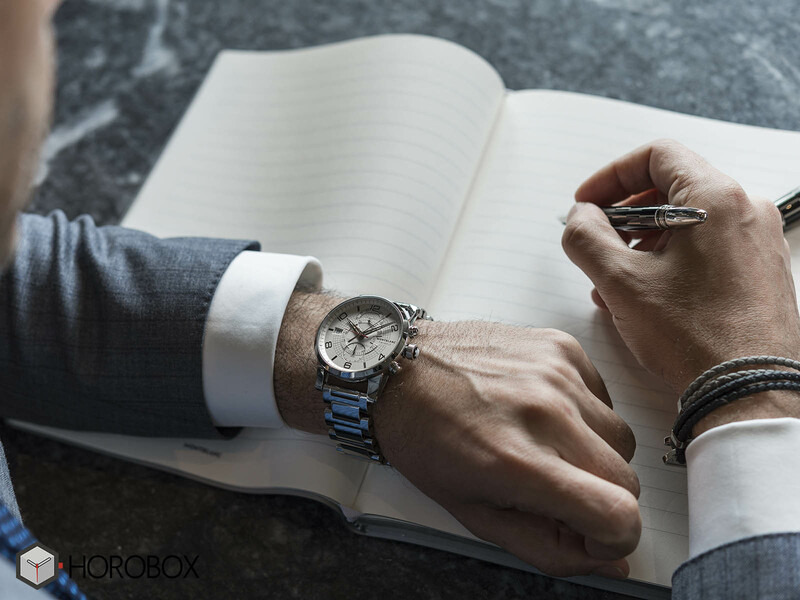 Mechanical watches are the kind of products that takes time to think about before buying. 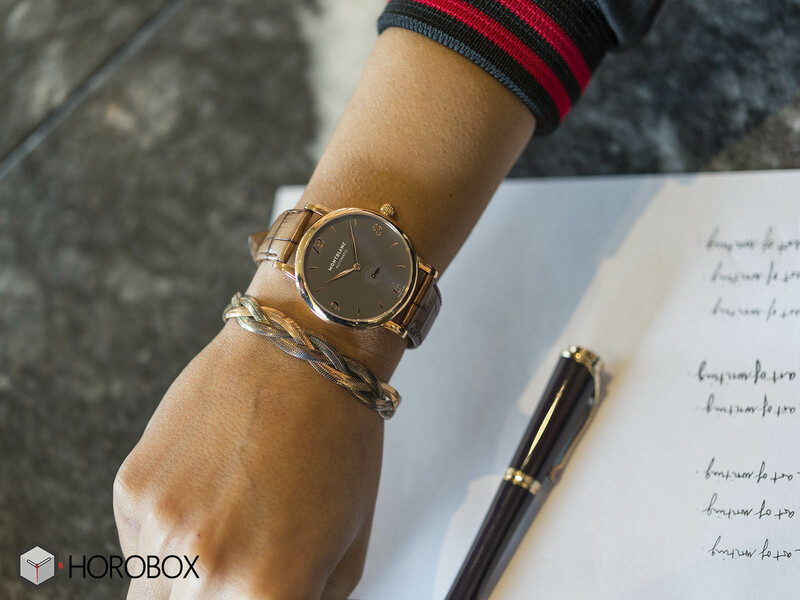 Accessory can be purchased online but for me a watch should be tried on before buying. I think I will not value something that I did not make an effort to have it. The first thing we pay attention for is a sincere smiling face that is aware of our needs. Unfortunately, there are certain conditions for a positive experience when it gets to luxury shopping. Both for you and for the person who represents the brand. It is very unlikely that you will have trouble getting information at the boutiques of major brands, but satisfaction is on a knife edge. Montblanc was our first stop as I wanted to try accessories among watches as well. We had the opportunity to do a very good photo shooting with the patience, understanding and sincere support of Rotap – the brand's official representative. 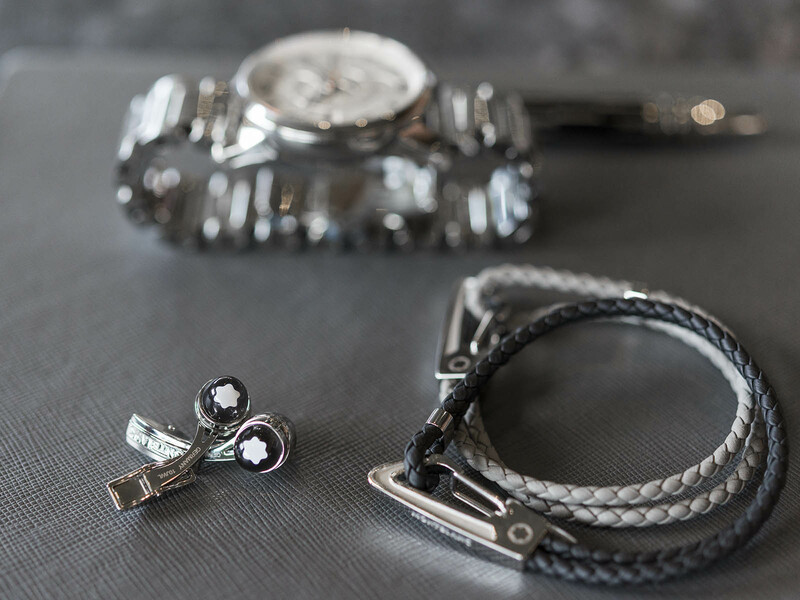 Montblanc surprised me a little because I thought accessories would be mostly suitable for men. The elegant, simple diversity of women's accessories made it easier for us to work, but at the same time it caused our visit to take longer than we planned. 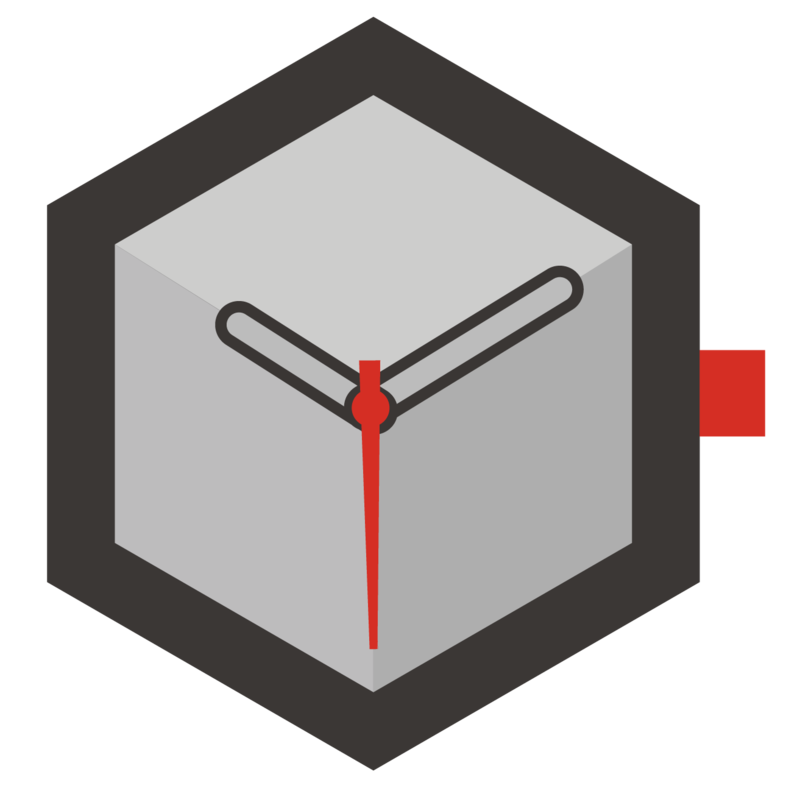 As a matter of fact, the content has accumulated so much that it could not fit in one article. 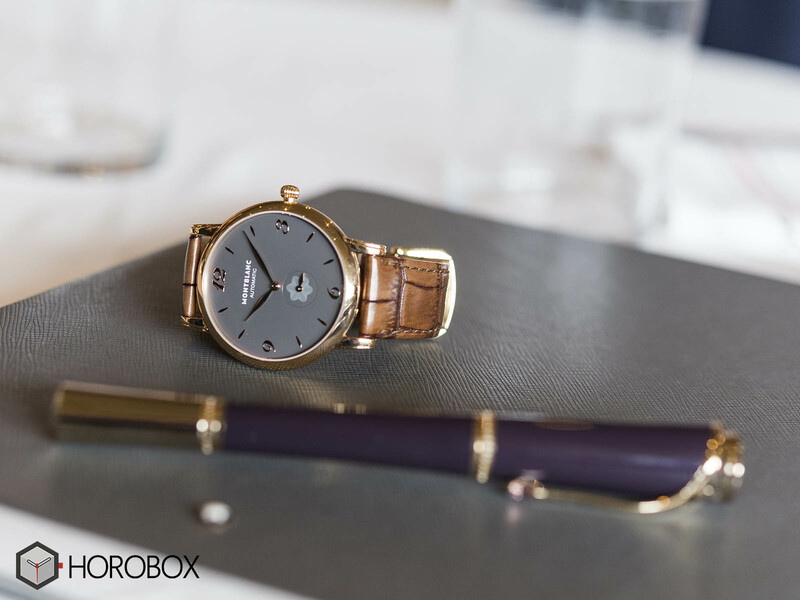 As soon as I got to the boutique, the gray dial, brown leather strap model from the Star Classique Collection got my attention. 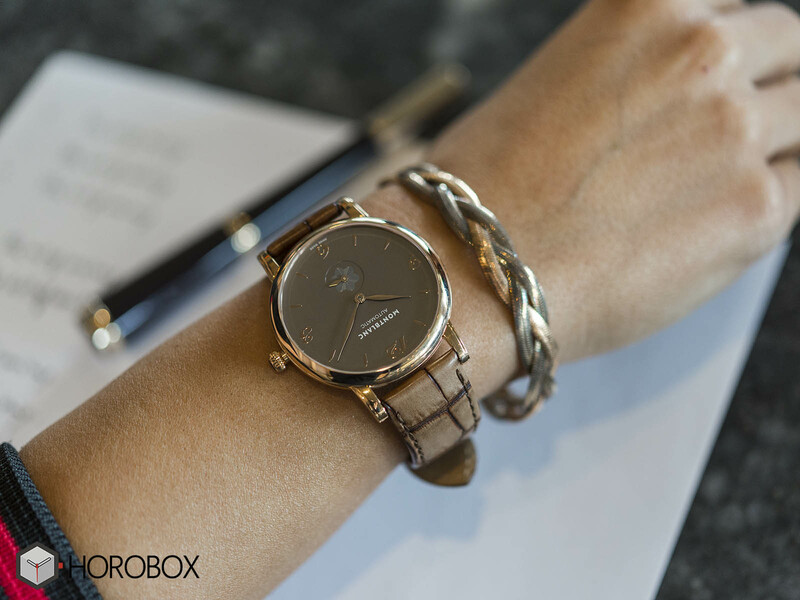 Contrasts sometimes complement each other so beautifully that even though it was a men’s watch, I wanted you to see how well it wears on a woman’s wrist. Since he hardly has chance to wear it before me, this watch is now at the top of my "gifts for him" list. 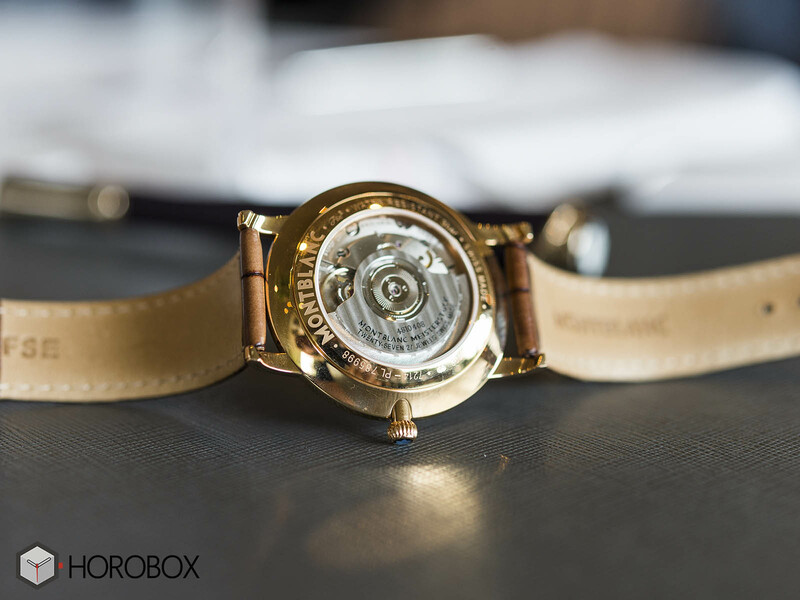 The self-winding model which has an 18K pink gold case and a gray dial sports a see-through caseback. Since it is a classic men’s watch it does not have any precious stones on it which makes it an ideal choice to wear with fancy bracelets. Don’t you think that it goes pretty well with Preuves D'Amour Raiponce braided bracelet? Dedicated to the Princess of Monaco Grace Kelly, which is a role model for millions, I complete the harmony with the pen bearing a pink topaz stone necklace detail on its cap. I chose stainless steel for men. All the items we use such as cuff links, pens and watches have their own distinctive features and beauty but my favorites were the bracelets. 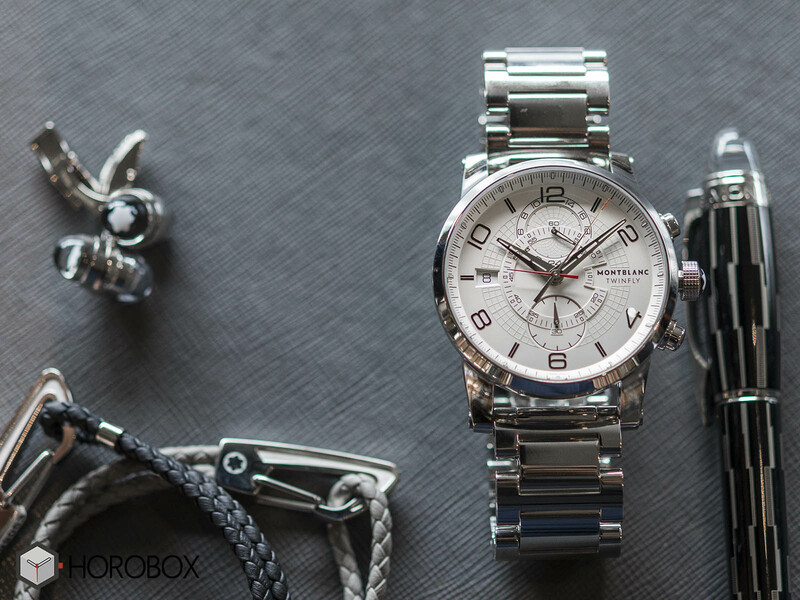 The watch is the Twinfly Chronograph with white dial and stainless steel bracelet from the TimeWalker Collection. I am a little distant to men wearing steel bracelet watches. However, I wanted to choose that model when I saw the harmony with the dial. The claps are the parts that got my most attention in Montblanc bracelets. The cufflinks are from the Contemporary Collection while the pen is a Starwalker Black Mystery. Montblanc is another world where you will lose yourself for a while. 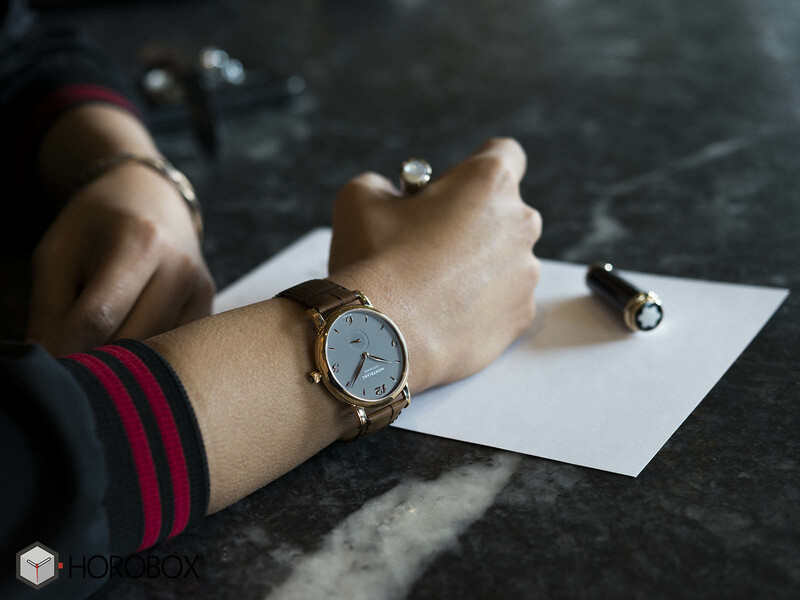 We will continue to share in our next article what got our attention in Montblanc world and which ones we decided to put together.